Blake Versus Parks | When Grandpa Was A Boy, Were There Any Dinosaurs? 1955: Driver Jim Blake must have thought he was simply enforcing regulations when he ordered four black passengers on his bus in Montgomery, Alabama, to give up their seats for a white man. Instead, Blake’s action on the afternoon of 1 December provoked the Montgomery bus boycott, a milestone in the American civil rights movement. “Y’all better make it light on yourselves and let me have those seats,” Blake said to the four blacks. Three of them complied. 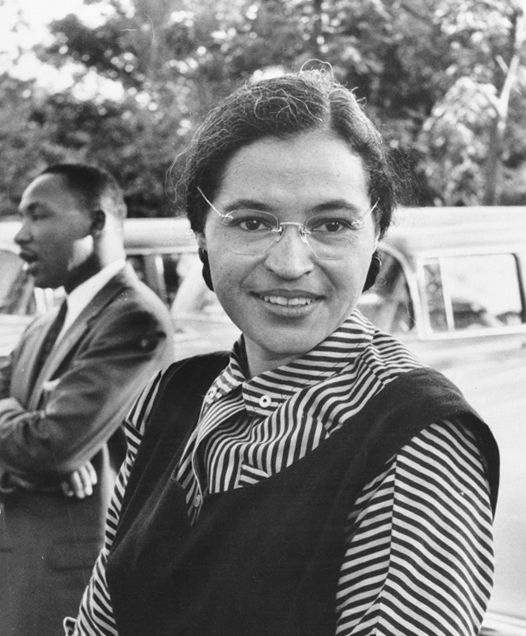 The fourth, a 42-year-old seamstress named Rosa Parks, stayed put. “You may do that,” Parks softly said.